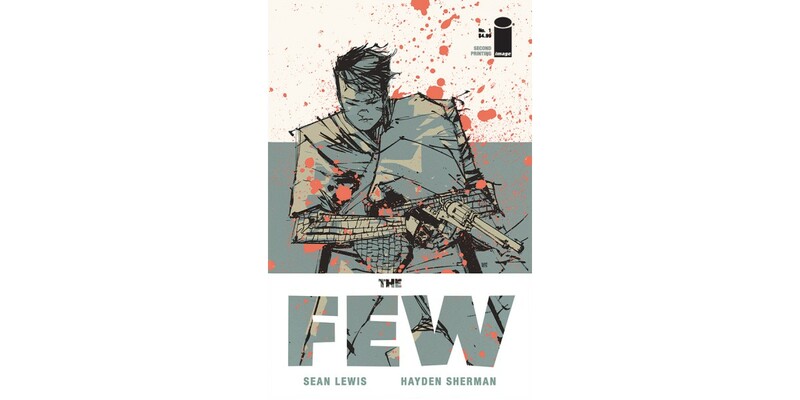 Image Comics is thrilled to announce that the debut issue of the hot new series THE FEW by Sean Lewis and Hayden Sherman has been rushed back to print. In a dystopian future, two survivalist brothers stumble across an unlikely sight: a woman asleep in the woods, holding a gun and a baby wearing a gas mask. Bent on lending her their help, they find that nothing is as it seems: betrayals, secrets, and revelations abound in the fight for what's left of America. THE FEW #1 remains available for purchase across all digital platforms, including the Image Comics website (imagecomics.com), the official Image Comics iOS app, Comixology’s website (comixology.com), iOS, Android, and Google Play. THE FEW #1, 2nd printing (Diamond code: DEC168139) will be available on Wednesday, February 22nd. The final order cutoff deadline for comics retailers is Monday, January 30th.